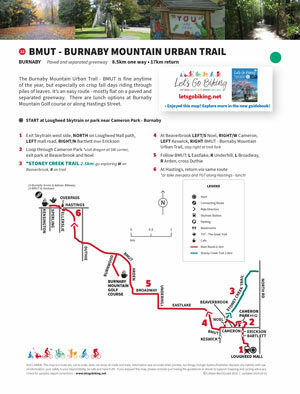 BMUT = Burnaby Mountain Urban Trail – Let's Go Biking! 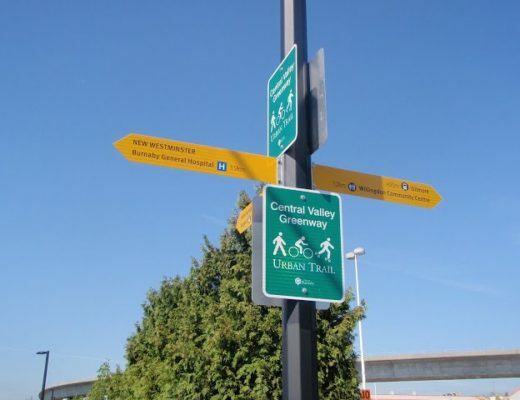 BMUT = Burnaby Mountain Urban Trail – Let's Go Biking! 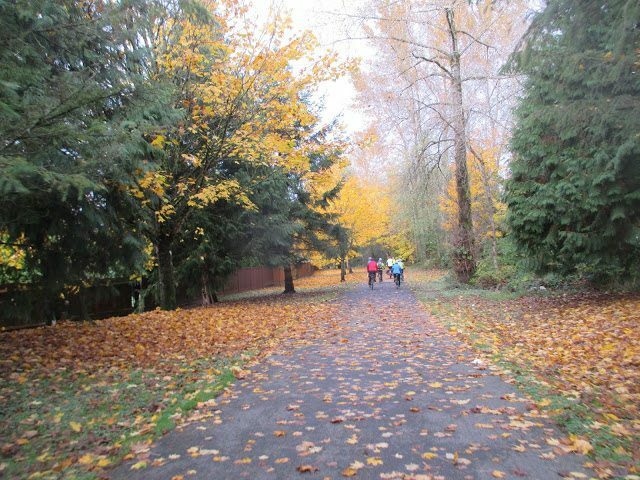 The Burnaby Mountain Urban Trail – BMUT is fine anytime of the year, but especially on crisp fall days riding through piles of leaves. It’s an easy route – mostly flat on a paved and separated greenway. There are lunch options at Burnaby Mountain Golf course or along Hastings Street. Cameron the Dragon lives in Cameron Park – see if you can find him! 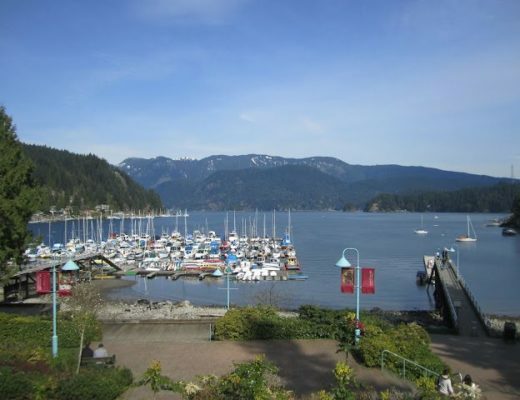 At Duthie Avenue, read all about Burnaby’s water system. 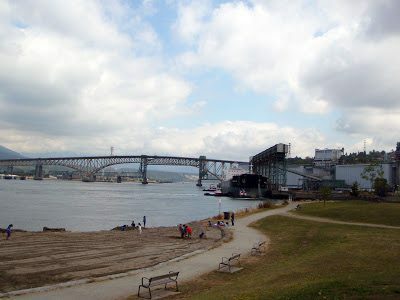 Confederation to New Brighton … Parks, that is !